One of the frequently most asked question for GST implementation is whether the income from property rentals are GST taxable. As a rule of thumb, Malaysian Royal Custom department has clarified that there are no GST charges for residential rental of properties however a standard 6% GST may be chargeable for commercial use rented properties. This means that income from properties rental for tenant who are staying there as home is exempted from GST. As the lessor, GST may be applicable based on your properties tittle and usages of the properties. The first criteria for GST registration would be the total income of the owner from properties rental. If the owner has a total revenue of RM 500,000 and above per annually that is derived from rental of commercial properties, that would be a compulsory GST registration. All properties with commercial tittle such as shoplots, retails can be subjected to GST tax. Some property title such as Soho and Sovo may be more complex where it is automatically considered as commercial title unless owner can specifically proves that these rented units are not being used commercially. 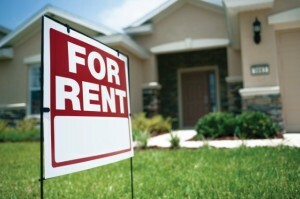 Owner of property rental will bear the responsibility to declare and determine income from commercial properties. One of the main benefits of GST registration is the renter will borne the full cost of GST tax. All of the GST cost related to property that is being rented can be passed to the renter as end of GST supply chain. As long as the prerequisites for GST taxable criteria fits, the property owner will have to register for GST. As a property owner, you can make GST claim for relief of bad debts for any 6 months unpaid rent from invoice date.